Last year ended with the Nissan Leaf as the only truly global player, winning the Best Seller Title in eleven markets across the World, from the USA (Largest EV market in the world) to Japan (#3), passing by Norway (#4) or South Africa. The BMW i3 also collected a number of Best Seller titles, but aside from their domestic market, the others (Hong Kong, Portugal, Czech Republic and Poland) were "Second League" trophies. Although in smaller numbers, other cars also won trophies, like Tesla, which won in three countries (Switzerland, Belgium and...Slovenia), but the rest were confined to domestic markets (BYD Qin, Kia Soul EV), or isolated cases (Volt in Canada, VW e-Up! in Latvia) or both (Zoe in France and Austria). Final mention for the Renault Twizy, that in 2014 assumed the role that in the past had belonged to the Mitsubishi I-Miev, blazing through new territories and planting the electric seed in uncharted territories, like Morocco, Malta or UAE(!). Important gains for the Model S, adding the USA, Canada and Denmark to the portfolio, begging the question: Can it keep them in the long term? 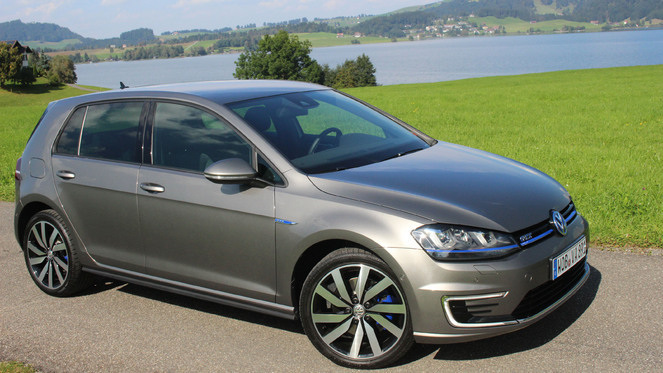 With a triumphant January in several markets, Volkswagen has been losing steam as the year progresses, but in the meantime it has two major trophies to snob the competition: Norway (e-Golf) and Netherlands (Golf GTE). 5 - Picking up on the latter theme, if China apparently has its life easy (See 2) in its way to become the largest market in the world, in Europe, Germany (4.5k sales) has to race against three markets on fire: The UK EV sales (7.7k) are going through the roof, with the EV Share doubling last year result (1,05% vs 0,56%), all while the Netherlands (5,26%) and especially Norway (23%!) continue in a league of their own, if the first is relatively easy to reach (5.8k units this year) volume wise, the second (8.1k) is currently the volume leader in Europe and only the UK is close to get near it. 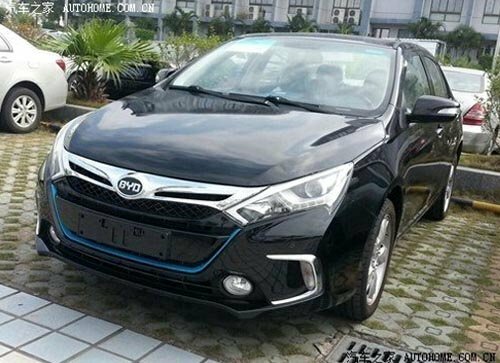 BYD Tang: The Next Big Thing in China? - Finally, the Spectacular Growth Awards go to Hong Kong (0,46% last year vs 1,26% now) and especially Iceland, with their EV Share up to 4,7%(! ), whith all that hydrothermal energy available in the vulcanic island, this is turning rapidly into a Second Norway, with an amazing growth, that could catapult them into the runner-up position by the end of the year. 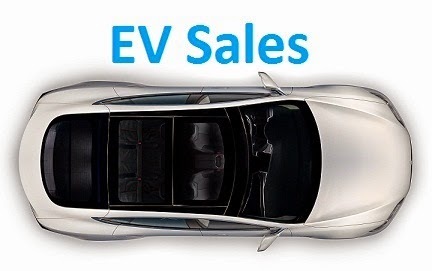 Despite a positive March (Up 32 units regarding the same month last year), YTD the Japanese EV Market is down 23%, far not only from the 10k units registered in the same period last year, but also in the first quarter of 2013, you have to go back three years to see such low numbers in this market. Looking at the YTD models ranking, the positions don't change much, with the Leaf once more in #1, recording more or less the same number of units of March '14, while the #2 Mitsu Outlander PHEV in Japan is suffering from Mitsubishi's production constraints. The top spots remain the same, with the Model S closing in to the #3 Prius Plug-In, with the Outlander PHEV climbing another position to #5, while its older brother I-Miev (#6) starts to look a bit long-in-the-tooth in this ranking. The race for #7 is tight between the Renault Zoe and the fashionable BMW i3, while the Chery QQ3 EV drops to #10 and hands over the Most Common Chinese EV Title for the #9 BYD Qin star. By brands, Nissan continues rock-solid in the leadership, but Mitsubishi climbed to #2, dropping a slower selling Chevrolet behind. In the last places of the ranking, Chery dropped to #10, with BMW joining the ranking in #9 and in #8 we have the impressive BYD, which has been piling up records each month. - The last dinosaur standing, with a couple years still to endure, as the closest rival is the 600 units away Mitsu Minicab Miev, which sells roughly 200 units a year, it looks it will take an additional three years to catch up the 1998 Ford Pick-up. Looking at the brands ranking, Nissan jumps to the leadership (It finished Third last year), with 41% share, followed by BMW (17%) and Renault (16%). More than 1.800 units were sold last month in the French EV market, a 73% improvement over the same month last year, allowing the EV Share to surpass the 2014 score (0,907% then vs 0,933 now), considering that the First Quarter is usually the slowest selling and new incentives are coming along, the French market is moving at full speed for a new Yearly Record, will we see it finally breach the 20.000 units? Looking at the brands ranking, Renault continues to own the lion's share of the market (49%), followed by Nissan (16%), with Volkswagen (6%) already showing up in Third as the best foreign brand. Another market reaching record numbers in March, the Swiss EV Market registered 418 sales, with the EV Share jumping yet again to unheard heights, at 1,22%, the prospect of reaching the 4.000 units (Up from 2.300 last year) in the end of the year now looks realistic. 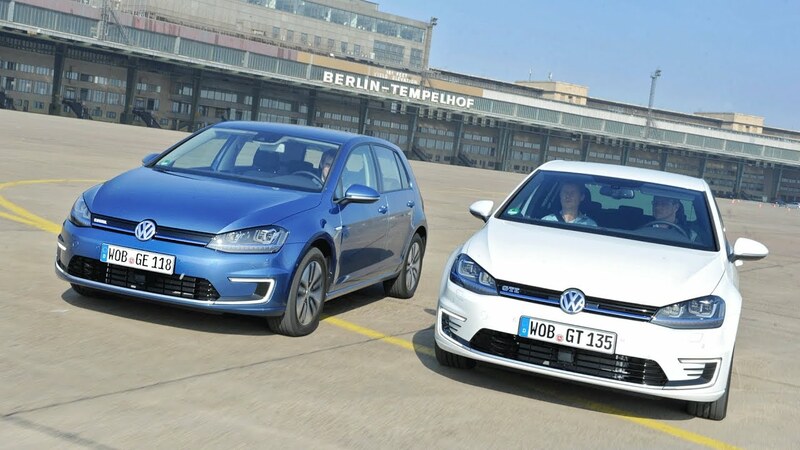 Two models made the news, the Tesla Model S recovered the leadership, thanks to an amazing 149 registrations in March, a new monthly sales record for a single model (The previous two records, 105 and 106 units, also belonged to Tesla), relegating the VW Golf GTE and the Renault Zoe to #3 and #2, respectively. The Nissan Leaf also had a brilliant result, selling 21 units, its best result in 18 months, fueling it up two positions to #7. The 2.076 EV's sold this March were a new record for the German EV Market, with YTD sales now at 4.444 units, doubling last year result in the same period. Looking at the monthly ranking, plenty of surprises, as always, the Niisan Leaf made a smash result, by selling 409 units, beating a record that lasted since the 2012 Twizy fever, while also winning again the Monthly Best Seller Trophy after a 19 month hiatus. As for the YTD ranking, there was a last minute leadership change, with the BMW i3 dethroning the Golf GTE by just two units, while the Mitsu Outlander PHEV is Third, only 11 units behinfd the leader, all three have 11% share, making this the most fragmented market in the world. 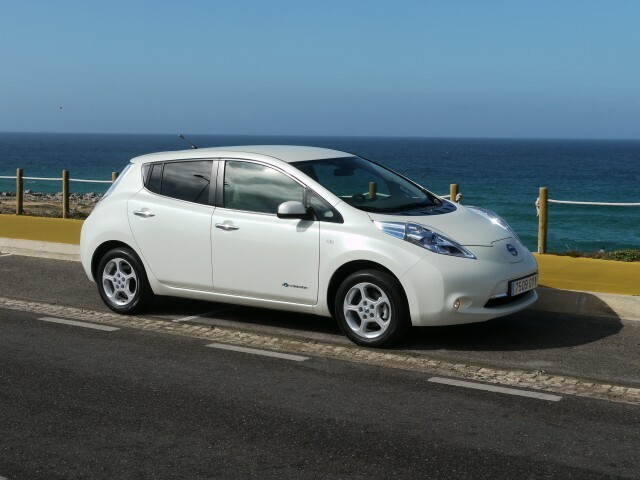 The Nissan Leaf shot through the competition to #4 (Up 10 positions! ), while the VW e-Golf dropped to #6 (It was #3 in January), the Tesla Model S climbed two positions to #7, while both the Kia Soul EV and the Smart Fortwo ED were down two positions, to #9 and #8 respectively. Looking to the second half of the ranking, the Nissan e-NV200 / Evalia jumped four positions to #16, underlining a brilliant performance from Nissan this month.